It's no secret that I absolutely loathe the Oscars. In fact, this might be the fourth or fifth time I've written a scathing article directed at the Academy of Motion Pictures Arts and Sciences. If the Academy was a person, I surmise that he/she would have taken out a restraining order against me by now. But restraining orders aside, the Academy isn't a person. It's barely even a group of people, really. At this point, it's more of a machine -- a rusty old machine that mindlessly hands out awards and puts on elaborate performance pieces with ballet dancers. I mean, that's basically what the Oscars is now. I'll spare you my usual rant, but suffices to say, the Academy Awards is essentially a popularity contest where the people who are winning are more often than not the same sort of people who are voting. It's like in high school when the class president was some popular kid you didn't even like because the only people who bothered voting in the stupid school election were this kid's friends. But it's easy enough to hate on the Oscars and point out what's wrong. But let's be constructive! 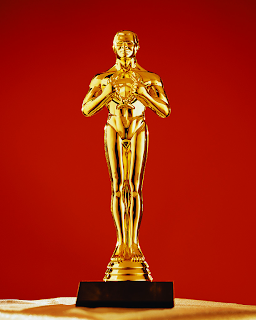 Here's five simple ways the Oscars could not be so damn stupid anymore. Hand Out Oscars Like Candy! Last year, the Academy upped the number of Best Picture nominees to 10. The purpose behind this is obvious. It allows the Academy to nominate movies that have no chance in hell of actually winning. So when the next Batman movie loses to some crappy inspirational based-on-a-novel snooze-fest, the nerd community can shrug and go, "Well, at least it was nominated." Except that it wasn't even really nominated because it never stood a chance. But here's an idea: if there's more nominees, can there be more winners? Maybe this devalues the winners. Maybe this makes winning Best Picture less of a "big deal." Maybe nobody cares and you'd be hard-pressed to find someone on the street who remembers more than a handful of best picture winners. Crash? Shakespeare in Love? Yeah, those are BP winners. Clearly the award doesn't mean that much in the first place, so feel free to hand out more than one. If there's a good movie that maybe deserves the BP win but isn't a "safe" enough choice, the Academy usually throws it a bone in the form of a Best Director or Best Screenplay win. But this only serves to lessen the importance of those categories, and makes the Academy seem petty and pandering (I mean, it is, but does it have to act like it?). It's like, "Don't be sad you didn't win, movie! See, you got yourself a nice Best Adapted Screenplay Oscar! That's right, turn that frown upside down, there's always next year." Why is it always the same few movies nominated for everything each year? Branch out. I'd love to see a different movie win in every category. Seriously. Worst category ever. This one year, a song entitled "It's Hard Out Here for a Pimp" won. Just stop it forever please. It's not that hard. The best parts of the Oscars are always when the funny presenters cut loose and start poking fun at each other. The worst parts of the Oscars are when some vapid actress with no personality wobbles up to the podium on 12-inch heels to read from a teleprompter. Here's a good rule of thumb: is your presenter funny, amiable, and likable? Then please proceed. Is your presenter Kristen Stewart? Kindly go to hell. The Oscars go on and on and on and by the time Jack Nicholson staggers up to stare threateningly at American families through their television screens and drawl out "The Best Picture nominees are," most people are dozing off or seriously contemplating changing to channel to the home shopping network for something a little livelier. In a world where episodes of Bachelor Pad have agonizing three-hour run-times, is it too much to ask of the prestigious Academy of Motion Picture Arts and Sciences that they put on a fun, brisk awards ceremony that everyone can enjoy? I mean, movies are fun to watch, right? Why can't an awards ceremony put on to celebrate the art of film be fun to watch? The bottom line is this: cinema is an awesome thing, and I really wish that the Academy Awards realized this and was more of a celebration than a popularity contest. I wish actors and filmmakers could get up and talk candidly about movies they saw and liked over the course of the year. Sadly, that just isn't going to happen. Meanwhile, the annual Oscars telecast will continue losing viewers by the millions every year, and the old white guys of the Academy will be left shaking their heads as to what to do about it. Now wait just a minute, Mr. Click. While you may have a point about songs, Hard Out Here for a Pimp seems hardly worthy of production, much less nomination, there are incredible movies that the academy recognizes when the general public passes them by. Case in point, Life is Beautiful and The English Patient. There may be movies that win that are undeserving, but can't the same be said about Presidential elections? If you are watching the Oscars for a quick tip of the Hat, turn on Stephen Colbert. 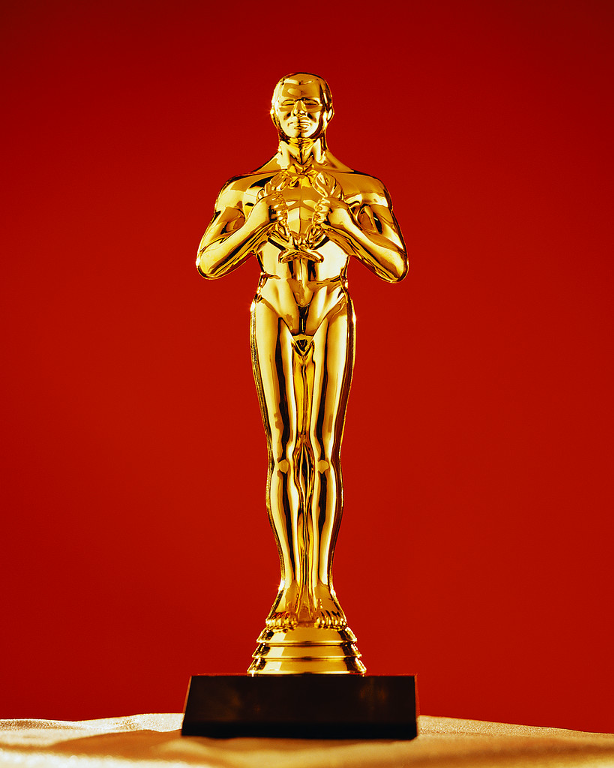 The Oscars are about tradition and celebration about achievements in film that create a legacy. They don't fit into a sound bite. Great movies have won, yeah. I was ecstatic when Scorsese nabbed best director and best picture for The Departed (though I'd quickly like to point out that this was clearly the Academy throwing the poor guy a bone). But the Academy gets it wrong like 80% of the time, usually going with the safest, least offensive movie. It's usually pretty clear how out of touch the Academy is with us moviegoers. Movies certainly have legacies, and some are enjoyed decades after their release. But the Oscars don't create these legacies -- the movies are just memorable and great. I mean, look at films like Escape From New York, Big Trouble in Little China, and Ghostbusters -- amazing movies that have stood the test of time and remain relevant and watchable now. But these are EXACTLY the sorts of films the Academy just brushes under the rug year after year after year. Like I say in the article, I'd be hard-pressed to recall more than a handful of BP winners. I just think the ceremony would benefit from a looser, more casual pace and feel. Ok, so let's look at the "safest, least offensive" movies that have won. Not sure that Broke Back Mountain would classify as safe, and while it didn't best picture in, it did win three other Oscars. Also Boys Don't Cry brought Hilary Swank her first Best Actress award. Best Picture winners include: Hurt Locker, Slumdog, Braveheart, Schindler's List, Silence of the Lambs. Those were all ground breaking and memorable. I know that I have watched Braveheart repeatedly as well as Silence of the Lambs. Of course Schindler's List isn't a "feel good film" but it remains a staple when talking about the Holocaust. I love the pomp and circumstance that goes with the awards. I think the Golden Globes and SAG awards are your "looser, more casual" award shows, which is fine by me. I love Big Trouble and Ghostbusters, but seriously as fun as they are to watch have they really "added" to film. And don't forget that Lord of the Rings had a great year at the Oscars. I think you're judging too fast out of a sense of frustration because you had to endure James Franco and Anne Hathaway :-). I get that. I know that the academy overlooks great films, but credit what they do recognize as worthy of recognition. I was ecstatic when The King's Speech won last year, and I anticipate I will be just as ecstatic when The Artist wins this year. Finally, I was glad to see Scorsese win for The Departed as well, but nominating War Horse just because Spielberg's name is on it - that's a joke. I can see where the academy is wrong, but I think your 80% number is a little high. PS Lance says you should add Buckaroo Bonzai to your "test of time" list. Brokeback didn't win, you're right. In fact, it lost to Crash, a downright horrible movie. Nominations mean nothing. Lots of awesome movies have been nominated with zero real chance of winning. I guess that's what really gets me. I guess the Oscars just aren't for me. I used to really enjoy them, but now they just bore and frustrate me. I think it was Crash winning that really made me question the whole institution. It didn't help that everyone I was with at the time was really happy about it winning. Maybe I'm just ... out of touch. I too am guilty of being happy Crash won :-( Cheer up, maybe Billy wil make it all better.